The Professional Publishers Association in the United Kingdom recently released their first ever report on digital circulation rates for magazines. These new metrics will assist companies in attracting advertisers to invest in their print or digital initiatives. The report tracks over 200 magazines from July to December 2012 and is basically the definitive circulation rate for UK magazines. These sort of charts already exist for newspapers in the US, but you would be hard-pressed to find exact metrics for magazines. 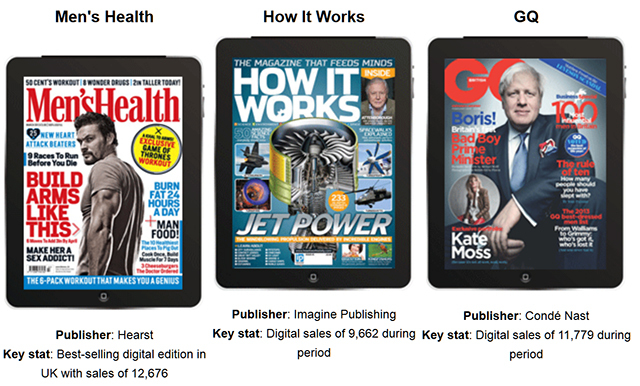 The real winners in the United Kingdom magazine publishing industry was Men’s Health with 12,676 subscriptions, followed by GQ Magazine by 11,779. One of the big surprises was the growth of T3 magazine with only 47,000 print subscriptions and over 11,158 digital. You can check out the full and comprehensive report for FREE by visiting the PPA Official Website.